The retails estate bubble has burst! We can see the retail industry in chaos. Just recently, biggest of the retail brands have filed for bankruptcy. Many privately held retailers tried to expand as their brick – and – mortar locations too rapidly and thus are showing signs of breaking down. Ecommerce online stores are taking over! Rue21 being the latest one joining the list of other retailers who have filed for bankruptcy this year are Payless ShoeSource, hhgregg, The Limited, RadioShack, BCBG, Wet Seal, Gormans, Eastern Outfitters and Grander Mountain. And more than 3500 stores are expected to close across the US in the next couple of months. It gives jitters to those in the retail industry and one of the biggest reasons for this downfall is the retail market going online and this year, it has reached its peak. We can see a great depression due to the onset of eCommerce. So is this the retail apocalypse? Is this the end? What are the measures that can be taken? 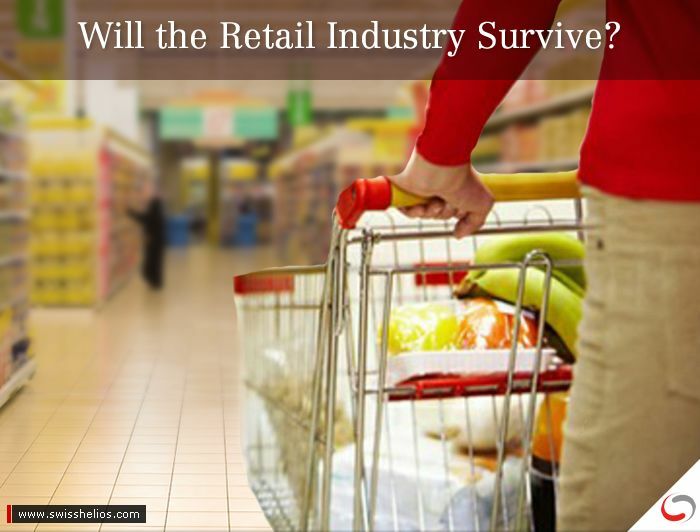 Let’s understand how technology & digital presence can save retailers from this avalanche in the retail industry! Urban Outfitters CEO Richard Hayne admitted something that his fellow retailers have known but have been hesitant to talk: “Their businesses are really struggling, overcapacity is to blame, and it could get a lot worse.” He said this in an earnings call with investors in March, PrivCo reported. Credit Suisse Group, which is a Swiss Multinational Services Holding Company, predicted that the pace of store closures in 2017 will surpass anything in recent history, including the past two recessions. The visits to shopping malls or retail stores can considerably decreased because of eCommece and faster home delivery systems. This decline for many years is due to the need to build an online store and rise of them, along with shift of perception of shoppers for spending their money has resulted in a great depression. According the real estate research firm Cushman & Wakefield “Visit to mall declined by 50% between 2010 and 2013. And as we know, in the last two years, due to eCommerce, shoppers have totally stopped visiting malls. But there is a ray of light in the midst of all the bankruptcy, shutdowns and abandoned malls. All those blaming biggie like Amazon for the retail abduction, should hear this! Amazon might just reinvent ‘New Retail’. Yes, it is working towards creating a new, convenient and faster way of Retail Stores. ‘Amazon Go’ will hopefully revive the retail industry! They are calling this cool way of shopping “Just Walk Out Technology”, no lines no checkout! Isn’t that amazing, Ecommerce should be aware of this. See this link to know more about ‘Amazon Go’. This could be the future of the retail industry and retail ecommerce companies. What is Causing this Depression in the Retail Industry? A new report says “57.5% of all shoppers use the omni-channel service, but only 31.6% describe it as being a smooth process”. The North America shoppers, 92% of whom say they regularly shop across multiple channels, think retailers have room for improvement when it comes to fulfilling online order in-store. Omni Channel retail management software iVent Retail released a report called ‘Great Omnichannel Expectations 2016-2017 Shopper Survey Report’. They surveyed 1000 shoppers throughout North America – 750 in the United States, 250 in Canada and found that 31.6% shoppers find picking up online orders in store to be a smooth process. Considering this data, we can say that there is a need to work on this scope and offer more convenience in this process of using multiple channels for shopping. Onmichannels need to efficient and more advanced in order to meet the expectations of the customer. iVent writes for the report “This suggest there is still work to be done to integrate eCommerce inventory management and in-store systems to improve the in-store collection experience for customers” iVend writes. Many Brick-and-Mortar Stores across the globe have expanded immensely in the five years and indulged in huge investments. This has led to more production and distributions costs along with staffing new employees for those stores at different locations. This fast paced expansion has backfired on these big retail chains. Depart stores like Sears, Kmart, Macy’s and many other are shutting down stores with middle of the mall chains like Crocs, BCBG, Abercrombie & Fitch and Guess. Many have considered shifting to a all online model in order to save and revive from what is left of them. Since more shoppers are shopping online, the malls and retail stores are suffering the consequences. For many retailers, Omnichannel is working fine but it is still not enough. Retailers are unable to spend on the outlets and maintain the look and feel. There are stores are covering themselves and the racks are left haphazardly with the highest quality clothes. As a result, retails stores are putting up clearance sales and selling the stocks at very cheap price. Save Yourself from the Retail Apocalypse! Shoppers expect the retailers to offer a more digitally connected experience. Shoppers are interested in buying from the retail outlets but they don’t see the motivation to do so. A research conducted by iVend’s with the sample mentioned earlier in the blog, the results say that customers are looking at in-store digital experience. 33.5% saying they want personalized promotions sent to them on their phones the moment they walk into store. 36.9% of consumers say kiosks or digital help desks would improve their in-store experience. 50.5% feel equally rewarded with loyalty rewards online and in-store compared with 40.3% who felt that way a year ago. One way to engage the shoppers in-store in not just giving them digital experiences, WiFi but also find ways to make it interesting. Here, this depends on the communication with your brand while in the store. Yes, it is time that Retail Fashion or a Super Store, all are resorting to different ways to offer customers with something more. The top privately held retails are not investing in a different direction. They are concentrating on how to enhance retail shopping experience with the help of innovation. Brands like Patagonia are promoting concepts of ‘Responsible Innovation’. Westfield Group invested in the Dreamscape Immersive, which is a VR experience. A brand called b8ta is a brick-and-mortar store that is trying to impress shoppers with digital experiences by introducing new and interesting tech products in their stores. Here, Macerich was also a part of the investments. To create new retail experience with technology, WithMe has invested in an innovation that uses technology to connect a shopper’s digital footprint with his/ her physical self as a shopping experience while in the store. Macerich invested in this project as well. Wall greens have launched a ‘One-Stop-Shop’ for their customers. This allows the customer to shop while on the go! They have features like ‘Knowing your name, when you walk in the store’. They are offering high end personalization while maintaining consistency across channels. Rent the Runway has invested heavily in Omni-channel and set many brick-and-mortar stores in several locations. They offer assistance while shopping and also are really good at profiling the customer. Victoria Secrets has introduced Loyalty System in the smartest manner. They offer cross channel personalization to their customers. Starbucks is offering a blend of loyal memberships with some million members now and optimally utilizes omni-channel to reach out customers in the best possible way. These brand here, are setting a statement that ‘Brick and Mortar’ retails is either to survive the test of time and has the ability to revive itself. The retail brick-and-mortar is not dead yet, but a few improvements can result in reviving the retail industry where technology and innovation is definitely going to play a huge role. If you are retail, then you must consider going digital with your store and going online in order to make the most of omni channel. We can help you plan your transformation with our ecommerce web developers and retail strategists. We can assist and help your make your retail store come alive! We hope this was an insightful read. 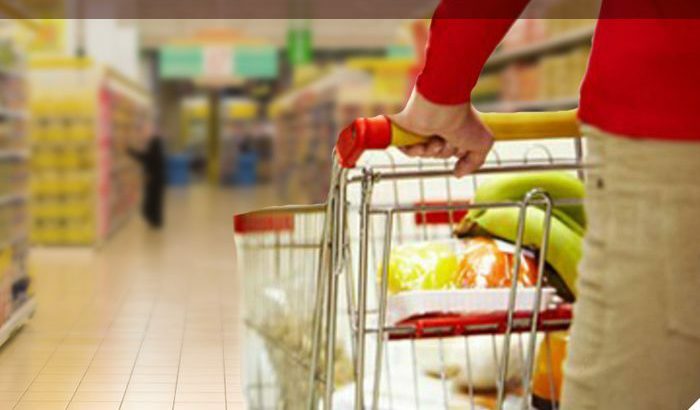 You can share your views with us on the state of retail industry, we would love to learn from you. We will soon be sharing other interesting stories of the technology world.